Spring, 1988, in South Bend Indiana. That night on stage the performer was Koko Taylor –the Queen of the Blues in person. What a shock! I couldn’t understand how such a big and powerful voice could come out of a woman just a few inches taller than my five foot three. I particularly remember “I Am A Woman”. How Koko Taylor roared, growled, howled. I am a woman. How she held her scream, allowing only a tiny stream out of her throat. I’m a love maker. How she played with the attributes of her femininity, something new to me as I was just becoming an adult. I’m an earth shaker. How her whole being seduced me. I also recall closing my eyes to her “Wang Dang Doodle,” a tiny bit tipsy half way through my Cuba libre, in the middle of the smoke swirls, my hips wobbling along with her voice and the guitar beats, trying to copy her lascive moves. Koko Taylor signed the beginning of my love story with the blues. A couple of months later, as I attended the 5th Chicago Blues Festival, I was already hooked. Françoise Digel is a French journalist who got in the blues in her early 20s. 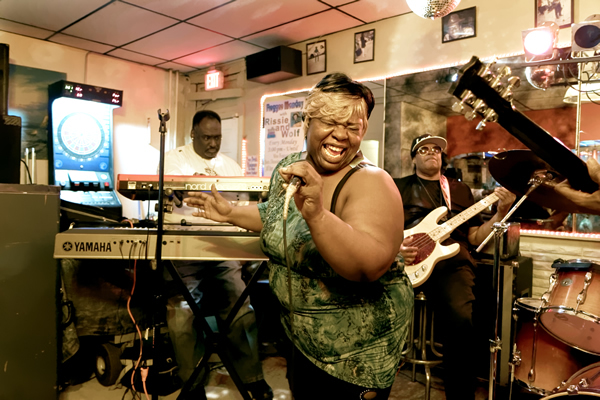 For the past seven years she has been traveling to the United States at least once a year to travel on the Blues Route, from Chicago to New Orleans via St. Louis, Memphis, and all over Mississippi, attending concerts, festivals, juke-joint hopping, and attending venues in Europe as well. 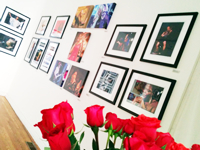 Her ‘Screamin’ the Blues‘ collection is currently being exhibited at the Blues Foundation in Memphis from May to October, 2016, along with two other collections, Off the Record and In Memoriam, before traveling to Arkansas. None would have imagined that Holle Thee Maxwell would sing blues: she was destined for an operatic career! Yet the correctly-postured, clasped-hand classical life would give way to “Thee” rocking Soul/R’nB, Blues volcano: Chicago’s “Force of Nature Par Excellence.” The statequese blond bombshell recorded for several labels, with early hits “Only When You’re Lonely,” “One Thin Dime,” “Never Love Again,” “Suffer,” and “Philly Barracuda” charting well across the country. Today, her singles are sought by collectors across the world, especially in Europe where they call her sound “Northern Soul.” Café-owner Maxwell recorded with jazz great Jimmy Smith, and replaced Tina Turner in the Ike Turner band. A graduate of the Juilliard School and Chicago Musical College, the accomplished songwriter sings several genres and in French, German and Italian. From opera, to “Thee” Blues, Holle Thee Maxwell fills the stage with her distinct style and personality. Maxwell was inducted into the Chicago Blues Hall of Fame (2014) at Buddy Guy’s Legends; and honored by the Great Black Music Project of the Northeastern Illinois University who added her to their artist registry and podcasting their interview of her about her music career. 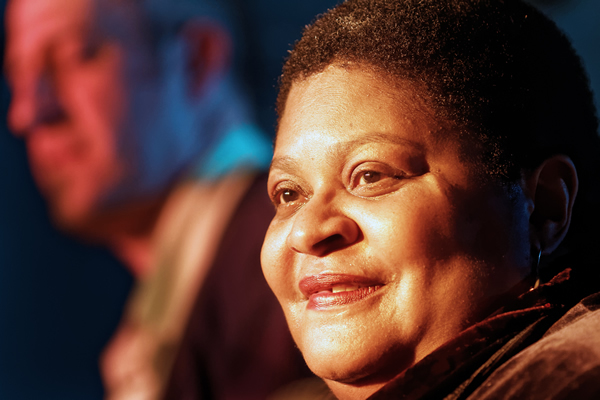 Since early childhood the blues was something that Claudette heard often in the Chicago neighborhood where she grew up. People came from miles around just to hear the street musicians tell their stories to the crowds. At age 16 Claudette started singing with a group and several years later she met the late great Albert King and shared the stage with him. She fell in love with the blues and has been captivated by the true sounds of the blues every since. 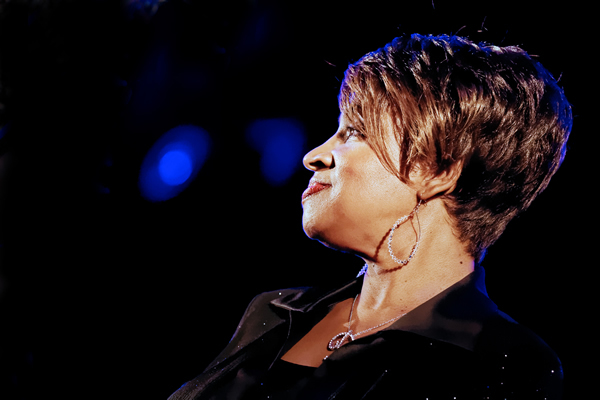 Claudette has had the pleasure of performing with many of the Blues greats and feels truly blessed to have shared the stage with some of the best artists that Chicago has to offer – Tyrone Davis, Lonnie Brooks, Billy Branch and the late Little Milton and KoKo Taylor. 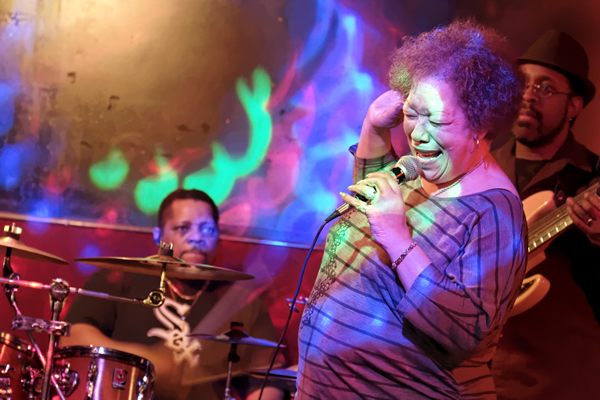 Claudette has also performed at the Chicago Blues Festival, is the lead vocalist for the Tenry Johns Band and wrote and produced her first CD “All in Time” in 2007. 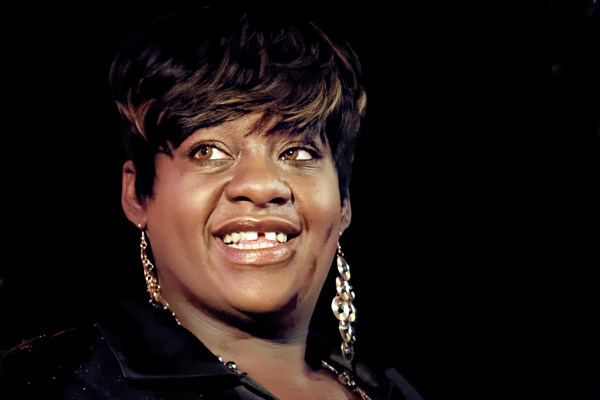 Born November 18, 1970, in Chicago, IL , Gwendolyn Williams started singing at the age of 3. Her favorite artist was the legendary Natalie Cole. “I would sing for everyone, anytime and anywhere”. Gwen went toDuSable High School where her music teachers would encourage her to sing. While in high school she had the honor to sing for Chicago’s Mayor Harold Washington for a Christmas Event. Gwen also sings for True Love Baptist Church under the guidance of the late Pastor Alfred Williams. Pastor Williams was one of many who acknowledged her extraordinary talented voice. Mz. Peachez got her first break sitting in with Kissy and Shorty Mack’s band at the Tacs Lounge. Short in stature, serene in nature this Blues powerhouse is 100% world-class Lady! No need to assault you with her ample vocal prowess: with a toothy grin she simply slips you into her world of Blues/Gospel/Soul excellence for the ultimate ride of your life! The Chicago singer/songwriter has penned dozens of tunes and is a favored vocalist in nearly every European country across the globe. 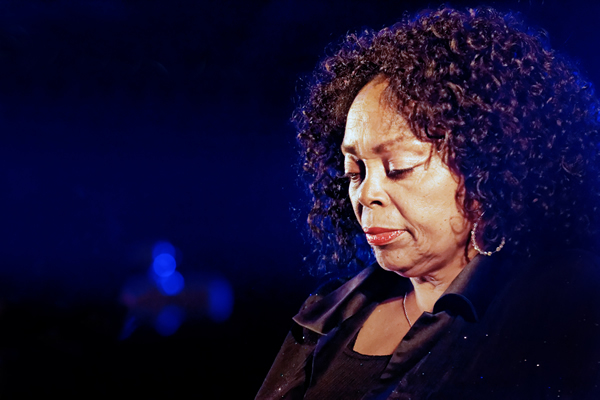 In October 2015 Deitra was inducted into the Chicago Blues Hall of Fame as a “Legendary Blues Artist” and has been numerously nominated for Traditional Female Blues Artist of the Year (W.C. Handy Awards), Female Blues Artist of the Year (Living Blues Critics’ Awards), British Blues Connection Awards, and the Les Trophees (France Blues awards). The Columbia College Journalism alumnus is also a published author; pens the “Artist to Artist” column in Living Blues Magazine, has written articles for the Chicago Blues Annual and il Blues (Italy’s Blues magazine). She represented Chicago Tourism in Düsseldorf, Germany and has toured with The Women of Chicago Blues project alongside Zora Young and Grana Louise. Deitra also often tours Europe with Raphael Wressnig’s Soul Gift tour. Italy’s Pistoia La Nationale, proclaimed her “Regina del Blues.” Bellissimo! Grana Louise is an Internationally and Nationally known Vocal Musician, Songwriter, and Entertainer who has been delighting audiences of all ages since she was a child. Music and performing is in her blood! 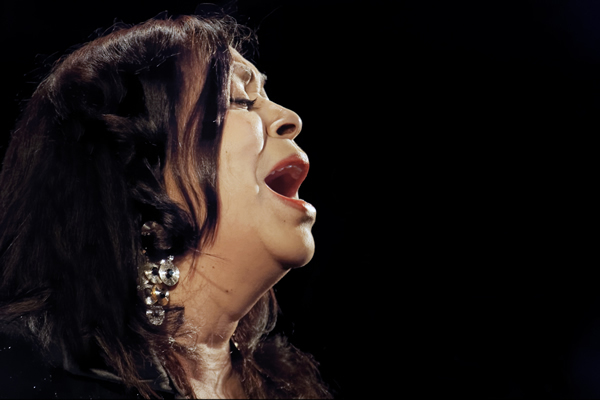 Grana has become a National and International Radio Musician, she has garnered praises as an Actress as well! Grana has been a staple in the Blues and Jazz community in Chicago since 1998. 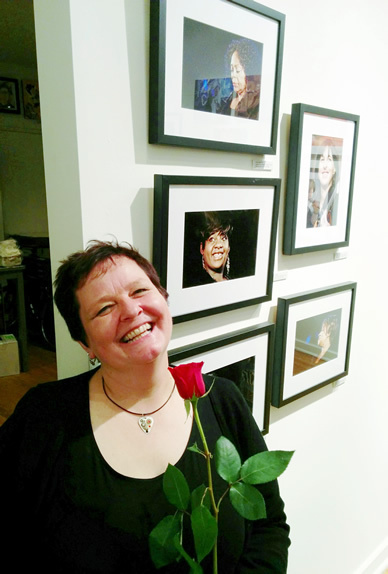 She lived and performed Blues and Jazz in Minneapolis from 1994-1998 until her career transported her to Chicago. Grana Louise also has a discography of music out, on different labels including her own label, Crystal Blue Records. Her latest release on the famed blues label Delmark Records, “Gettin’ Kinda Rough” 2011, debuted in the Top Ten on the Living Blues Radio Charts, and was #14 on the Blues Summit Top 50 Albums of 2011. 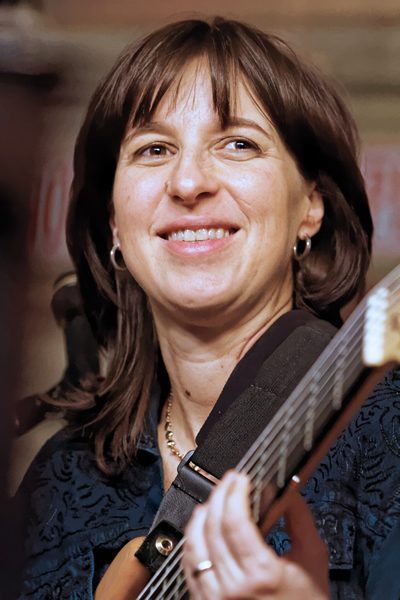 In 2002 Ilaria played bass on Tino Gonzales ‘World of Blue’ and she began playing bass with world renown harp player Sugar Blue including playing bass, background vocals, Ilaria was a Producer and Arranger on Blue’s two releases that year ‘Threshold’ and ‘Voyage’. Ilaria and Sugar Blue became a couple in 2005. In 2007 she released her own album ‘Nite Bite’ and played Bass, Background Vocal, Arranger and Concept for Sugar’s ‘Code Blue’ release. In 2010 on the release of ‘Raw Sugar (LIVE)’ she played Bass as a Group Member, Ilaria was also an Arranger and Producer. In 2012 Ilaria and Sugar Blue got married and in 2013 she gave birth to their son. Even as a Mom she continues to perform with Sugar Blue in Chicago, nationally and around the world. Otis Clay was an American R&B and soul singer, who started in gospel music. In 2013, Clay was inducted to the Blues Hall of Fame. Since 1989 Otis had been touring the world performing and recording. On stage with him had been three extraordinary backup singers, Diane Madison, Theresa Davis and Diana Simon. Also, joining them periodically, Porald Bordes. 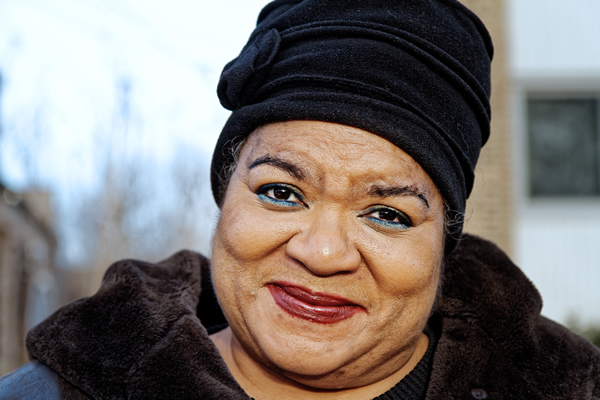 Diane Madison is a veteran backup singer working for big name artists such as Tyrone Davis and Aretha Franklin. Diana Simon backup singer for The Chi-Lites and Theresa Davis backup singer for The Emotions. Together their fiery vocals and choreographed moves brought emotion to attractive ballads and powerful energy to Otis Clay’s infectious upbeat R&B and soul-infused songs. Sly Johnson, Artie “Blues Boy” White and Johnny Drummer recordings as well as Caribbean children’s musician Nelson Gill. More recently she appears on Billy Branch, Dave Specter, Mississippi Heat and Kenny Neal albums among numerous other projects where her beautiful vocals helped complete the music of artists from a wide range of genres. Theresa did her first studio backup recording at the tender age of 15 at Paul Sarano’s first studio in Chicago, IL. Shortly thereafter, she joined a recording group called “Our Ladies of Soul,” who enjoyed nominal success with their recording of “Let’s Groove Together” under the Aries label. Theresa was asked to replace the eldest sister and join The Emotions on the Stax record label, where she was with that group for four years, and recorded three albums with them. When the sister decided she wanted to return to the group, Theresa left and she went on to do jingles, and eventually voice-overs. Theresa started to get calls for doing studio back-up vocals (which is her passion), and as time passed on, she started contracting other singers, and also arranging vocals. She is still to this day a sought-after studio singer, known to get the job done to the artist’s or producer’s satisfaction, and quickly. Although the artist’s she has done vocals for are Otis Clay, the late Tyrone Davis, Billy Price, Gene Chandler, Syl Johnson, the late Walter Jackson, Ramsey Lewis, Brian Culbertson, and Paul Simon. Theresa has also toured and performed live with Otis Clay all over the U.S., Canada, and Europe; with Ramsey Lewis, on his “Between the Keys” CD tour in the U.S.; with The Sue Conway Victory Singers in Europe, and withRev. Jessy Dixon and the Jessy Dixon Singers in Europe. Her travels have taken her to places such as Amsterdam, Holland, Belgium, countless cities in Italy, Sweden, Switzerland, Germany, Austria, Spain, the Netherlands, France, Slovenia, Berlin, and Japan. A native of Chicago, Diana has enjoyed a wide variety of musical endeavors. While in high school she was a member of various choral ensembles, a featured artist in annual talent shows and all 4 years of high school, she was a member of Chicago’s All-City High School Chorus. Diana studied voice and piano at Roosevelt University and earned her Associate in Arts Degree in Liberal Arts. A pop-soul artist with unique vocal styling, Diana has worked with The Lost Generation who had a 70’s hit “The Sly, the Slick and Wicked” and scored another hit song entitled “Thinkin’ Bout Cha” in 2003. Diana had been keeping busy working as a background vocalist with Otis Clay and the Legendary Chi-Lites as well as working on her own projects. Porald Bordes grew up in the Chicago suburbs graduating from Hillcrest High School in Country Club Hills and went on to receive her BA in Music at Chicago State. In addition to performing background vocal with Otis Clay she is does private piano lessons and is a Vocal Coach.